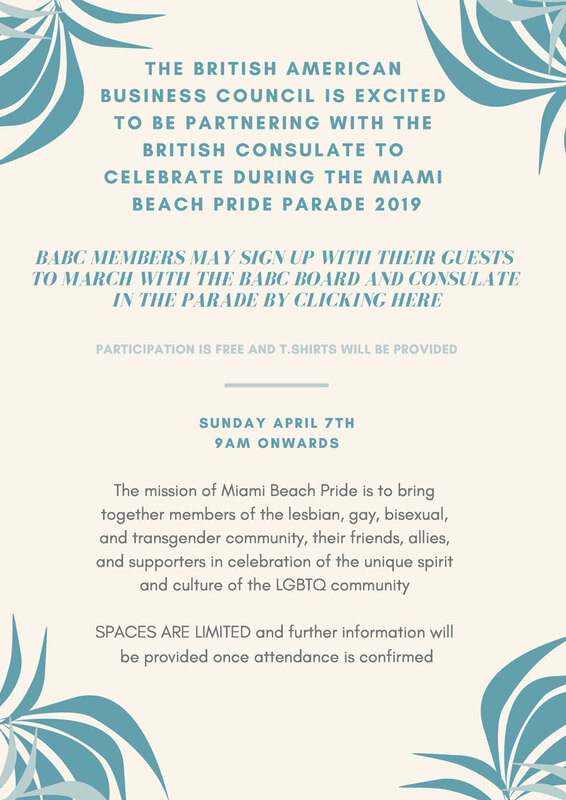 The British-American Business Council is excited to be partnering with the British Consulate in marching together in the Miami Beach Pride parade. BABC members may sign up here to join us in the parade. BABC members may register for as many guest spots as desired – bring your colleagues, friends and family! Participation is free and T-shirts will be provided. Spaces are limited. Specific joining instructions will be provided closer to the date.